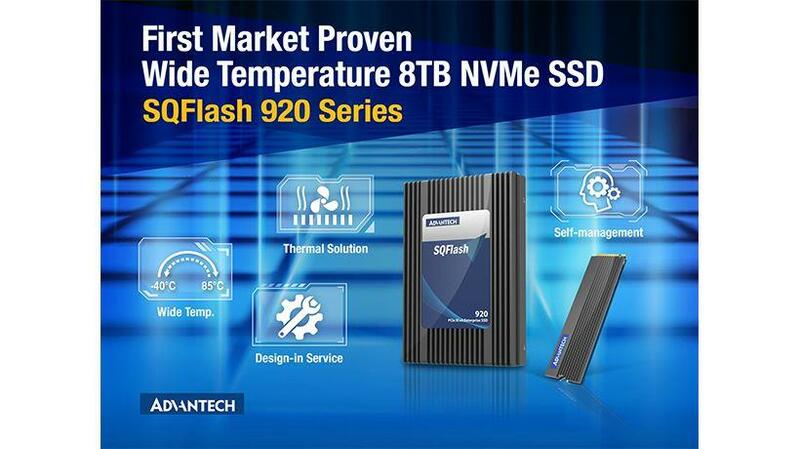 October 2018, Taipei – Advantech, a global leading provider of the industrial flash storage solution SQFlash, today releases a flagship NVMe SSD product—SQFlash 920 series. This new series product line brings high performance, density, and full function storage security support, which allows complete design-in service for industrial applications. 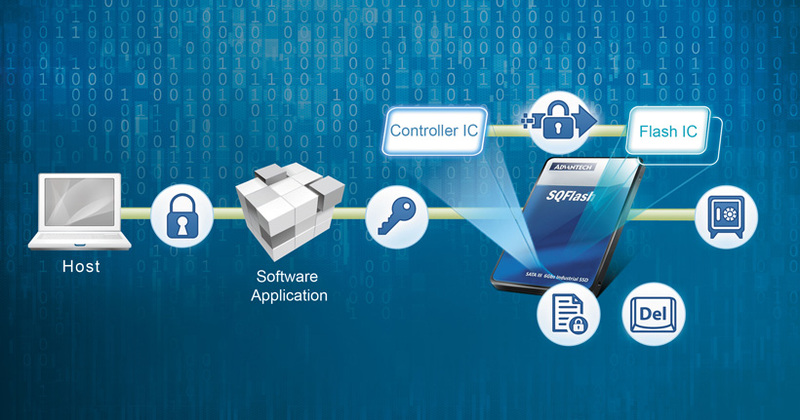 Advantech’s SQFlash 920 series NVMe SSD includes the very popular M.2 2280 form factor (SQF-CM8) as well as a 2.5” U.2 form factor (SQF-C25) using the latest Toshiba BiCS3 3D NAND Flash technology to achieve up to 8TB per drive capacity. Heading towards AIoT applications such as auto-piloting and industrial machine vision, the SQFlash 920 series is an industry first wide-temperature 3D NAND SSD that comes with built-in smart thermal management and comprehensive security features. Using the latest controller technology that includes LDPC and a RAID-ECC error correction engine, SQFlash 920 series provides best-in-class reliability and the same endurance level as planer MLC NAND Flash. What’s more, a cloud ready online predictive maintenance feature (PMQ) is also available to help users remotely monitor their SSD. 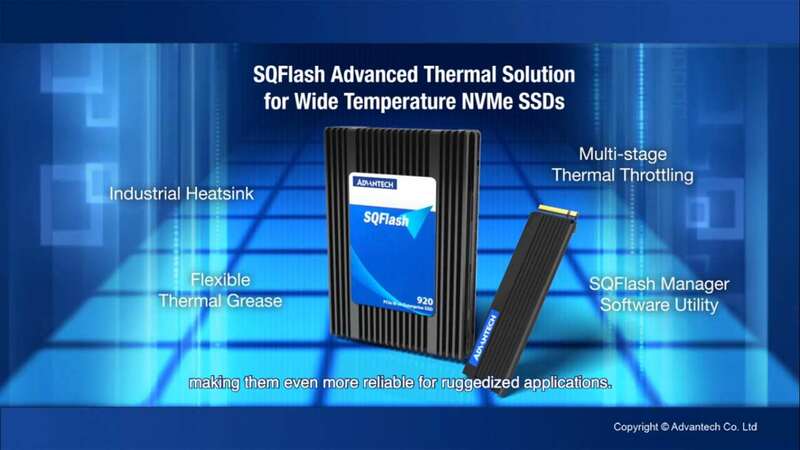 SQFlash 920 series has a whole new heatsink design that can reduce internal temperatures by up to 10 degree celsius to bring superior performance compared with NVMe SSD using only thermal throttling. Also, SQFlash 920 series uses thermal grease with outstanding mechanical flexibility to avoid the risk of physical damage to SSD components upon abrupt temperature changes. SQFlash 920 series is the first industrial market oriented NVMe SSD designed for rugged environments like aerospace, in-vehicle, or defense applications. Furthermore, real time thermal data from SSD internal thermal sensors can be provided through PCIe or SMBus for embedded system controllers to manage smart fans and active cooling that can directly target the SSD. With the launch of the latest General Data Protection Regulations, SSD security is in focus for industrial verticals, consequently SQFlash 920 series takes security seriously as one of its most important value propositions. By adding the latest TCG-OPAL and TCG-Enterprise compliant security feature sets, data inside NVMe SSD can be further protected from unauthorized access. In addition, SQFlash by default incorporates anti-virus functions from McAfee which can protect the system from virus and malware attacks.